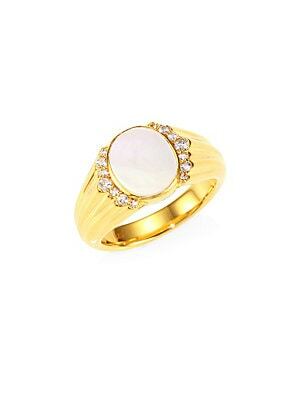 18K goldplated signet ring with mother-of-pearl and white sapphire center From the Luna Collection White sapphire Mother-of-pearl 18K goldplated sterling silver Imported. Fashion Jewelry - Modern Jewelry Designers. Astley Clarke. Color: Gold. Size: 4. 18K goldplated signet ring with mother-of-pearl and white sapphire center From the Luna Collection White sapphire Mother-of-pearl 18K goldplated sterling silver Imported. Fashion Jewelry - Modern Jewelry Designers. Astley Clarke. Color: Gold. Size: 6. 18K goldplated signet ring with mother-of-pearl and white sapphire center From the Luna Collection White sapphire Mother-of-pearl 18K goldplated sterling silver Imported. Fashion Jewelry - Modern Jewelry Designers. Astley Clarke. Color: Gold. Size: 7. 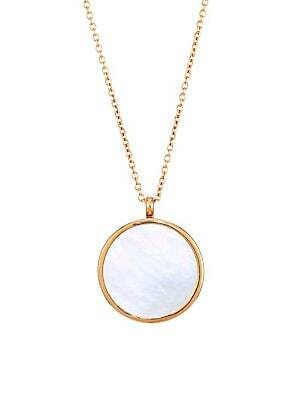 18K yellow goldplated necklace with glossy mother-of-pearl pendant that opens. 16MM white flat mother-of-pearl 18K yellow goldplated Sterling silver Lobster clasp Imported SIZE Length, 20" - 22". 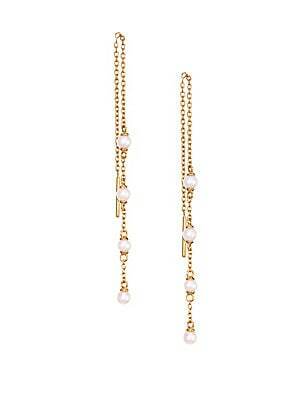 Fashion Jewelry - Modern Jewelry Designers. Astley Clarke. Bright faceted beads anchor shimmering hamsa pendant. 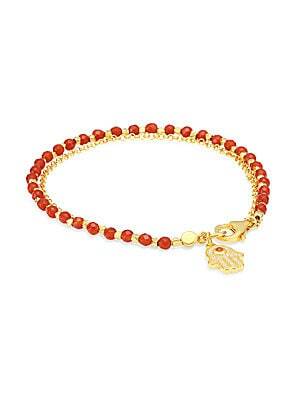 White sapphire Red agate 18K gold vermeil sterling silver Lobster clasp Imported SIZE Length, about 7.28. 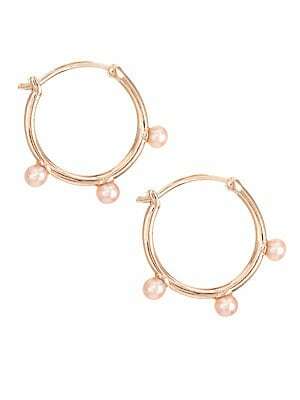 Fashion Jewelry - Modern Jewelry Designers. Astley Clarke. 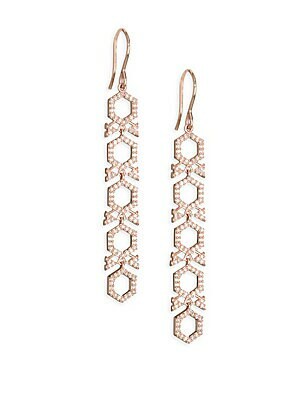 Diamond honeycomb drop earrings in 14K gold 14K rose gold Diamond, 0.57 tcw Diamond color: HI Diamond clarity: SI2 Width, 0.23" Drop, 1.77" Imported. Fashion Jewelry - Modern Jewelry Designers. Astley Clarke. Color: Rose Gold.